It’s been over a month since I posted here, and I thank all of you who still stopped by and checked for updates. We’ve been busy entertaining family and travelling too. 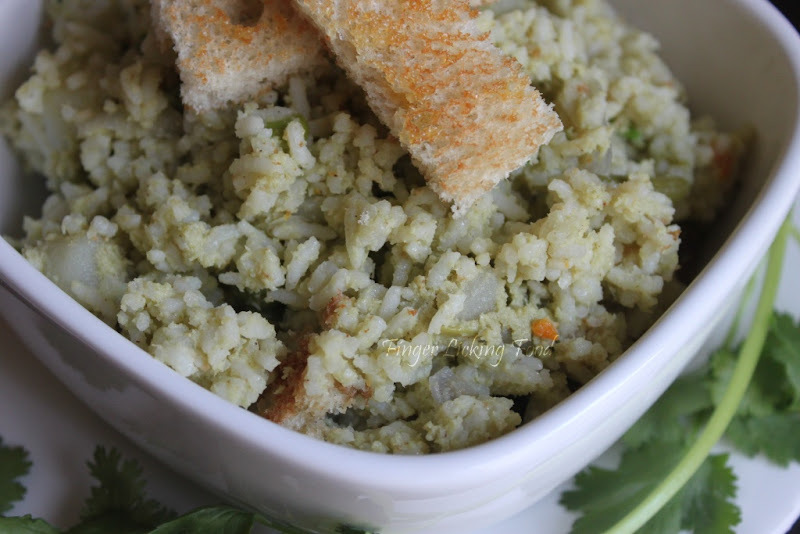 Recently I tried a new recipe for pulao. 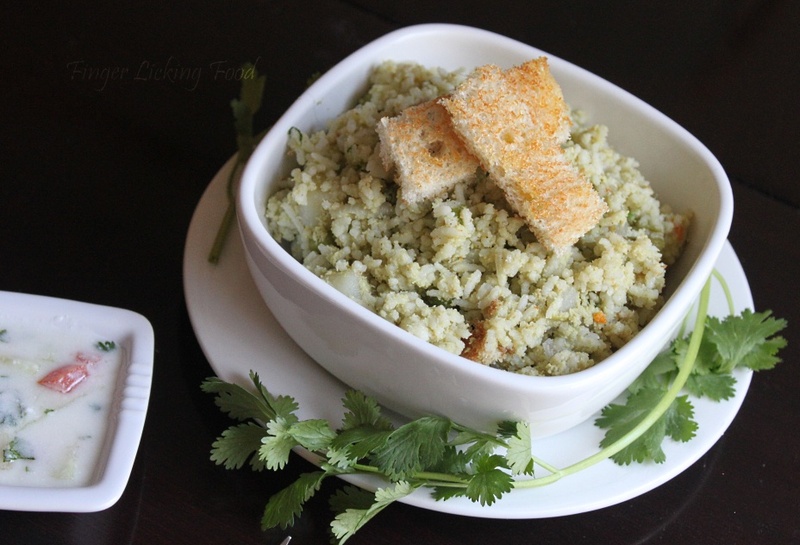 The cooking method is different from conventional pulaos and so are the ingredients, which set this pulao apart. 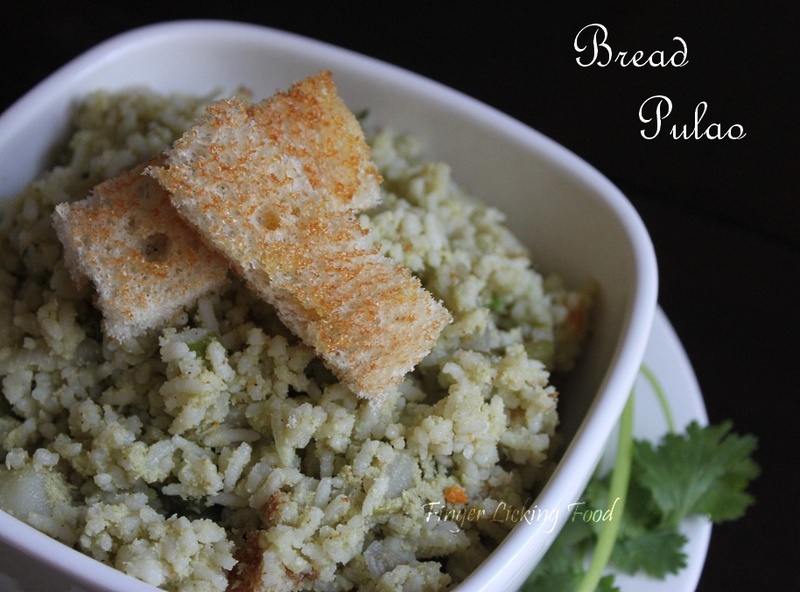 Like a lot of dishes concocted in mom’s, grandma’s or athamma’s (MIL) kitchen, which don’t have a fancy name…Bread Pulao is one of them. Cook the basmati rice in water and set aside. Boil the veggies, drain and reserve. Toast the bread in a toaster and then apply little ghee on both sides. Cut into small cubes. Grind the garlic, green chillies, coconut, poppy seeds, mint leaves and cilantro into a paste using little water. Heat the oil in a pan. Add the onions and sauté for a few minutes until soft and translucent. Add the ground paste and sauté for a few minutes, till fragrant. Now add the boiled veggies and salt to taste. Add the prepared rice and combine well. Add more salt as needed. Lastly stir in the bread cubes. Serve hot with a cucumber raita. WOW bread pulao, new for me and fancy too. Pulao looks tasty and beautiful presented too!! Thats really very interesting pulao,thanks for sharing..
That a new dish,looks superb.